Last month, MetaMask released 4.9.0, which included support for Trezor hardware wallets. As we discussed in our ​blog post​, your funds are only as safe as your keys — hardware wallets are a great way to store keys securely offline. We want Ethereum users to be as safe as possible and we don’t want to leave anyone out! That’s why v4.11.1 of MetaMask now supports Ledger hardware wallets as well. Connecting a hardware wallet to MetaMask makes it simple to have the security of cold storage with the convenience of a hot wallet. Your private keys will always stay in your Ledger. This allows any dapp that works with MetaMask to be used safely and securely with a hardware wallet. 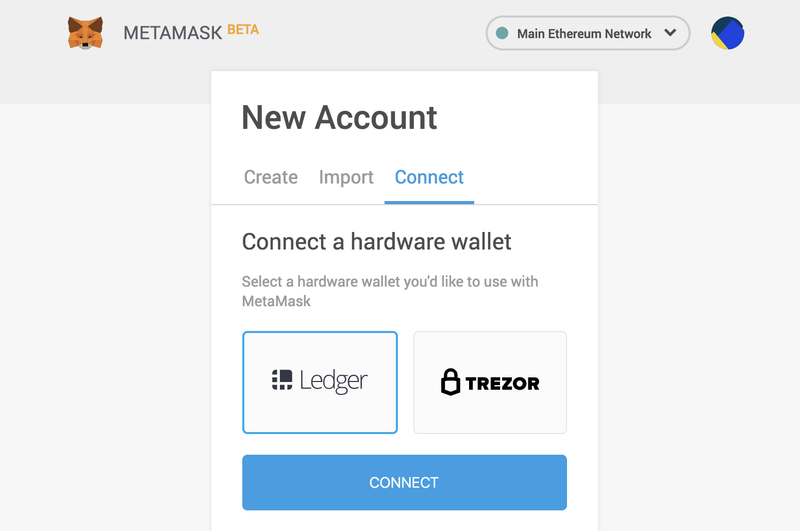 When you import your Ledger Ethereum account into the MetaMask extension, it’s treated like any of your other Ethereum accounts. When you’re asked to sign something, you can connect your device and the extension will send it a request to sign. The signature happens entirely inside your Ledger and private keys never leave the device. When your device isn’t connected, MetaMask will still show you your Ledger’s ETH and token balances for your convenience. You can remove your Ledger account at any time via the Account menu in the top-right. To connect your wallet, make sure you’re on MetaMask 4.10.0 or higher in Google Chrome or Brave and make sure you’re using MetaMask’s ​beta UI​. Select the account you want to use, then click “Import” and you’re good to go! This feature request received a lot of love in our Github issues, so we hope folks out there are excited for it! As always, community feedback helps us build a good product. If you have questions, email support@metamask.io​. If you have a feature request, feel free to ​open an issue on our GitHub​ to discuss! By adding hardware wallet support, we are allowing every single ÐApp that works with MetaMask to be used securely with a Hardware Wallet. P.S. — If you don’t have a Ledger, you can ​buy one! Special thanks to Bobby Dresser for co-authoring this post.